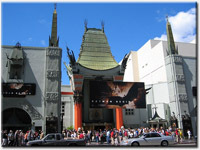 Hollywood Walk of Fame – see the stars embedded in the sidewalk along Hollywood Blvd. LA day tours from LAX airport stop, walk around with the tour guide, take pictures of Chinese Theater, Dolby Theater, The Road to Hollywood. Griffith Park – the largest urban park in North America. Sightseeing day tours from LAX airport includes walk around Griffitz Observatory, take picture of Hollywood Sign on top of the Hollywood Hills and Los Angeles skyline. Venice Beach Boardwalk – eclectic sidewalk circus, the place to see LA best street entertainers. Tours from Los Angeles airport stop, walk around, take pictures. Santa Monica Pier – oldest amusement pier on the West Coast of California, USA. On your layover tour Los Angeles you will stop for a short stroll along the Pacific Ocean. To inquire about LA day tours from LAX airport, just drop us a quick note to info@latraveltours.com or call 1-800-761-1775, From Canada, UK, Europe 1-213-537-5770, In Australia, call (03) 9005 5907. Layover Tour LAX reviews. We will be glad to help you with the half day tours from LAX in Los Angeles. Tours provided in a minivan, SUV, van or bus. American Riviera Private Tours – 5 star rated on TripAdvisor, Yahoo, and Google! !